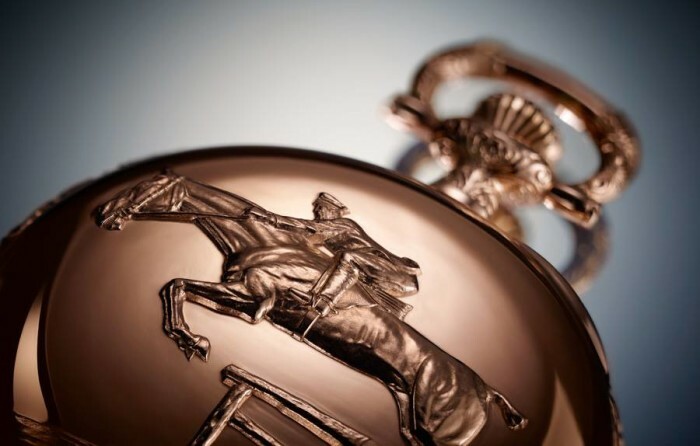 At the recently concluded Baselworld 2014, Longines has unveiled a pocket watch, named the Longines Equestrian Lépine. 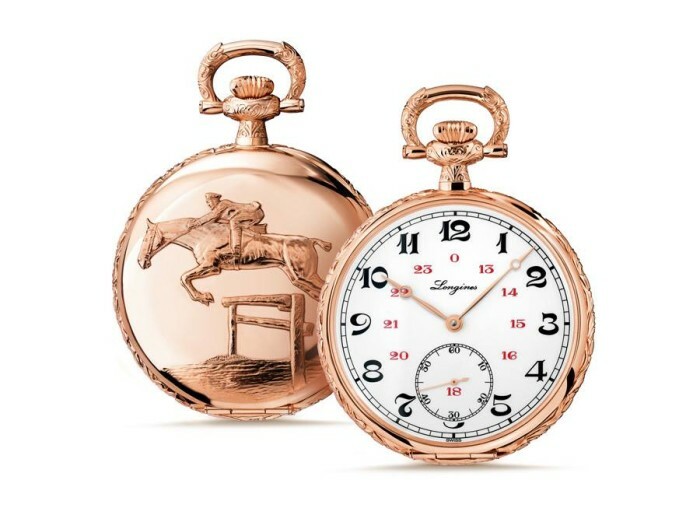 The rose gold pocket watch serves two purposes for the watchmaker – it marks the year of the horse and celebrate brand’s passion for equestrian sport. A 1927 vintage metal Lépine pocket watch served as an inspiration for the current model, it is now on display at the Longines Museum in Saint-Imier. 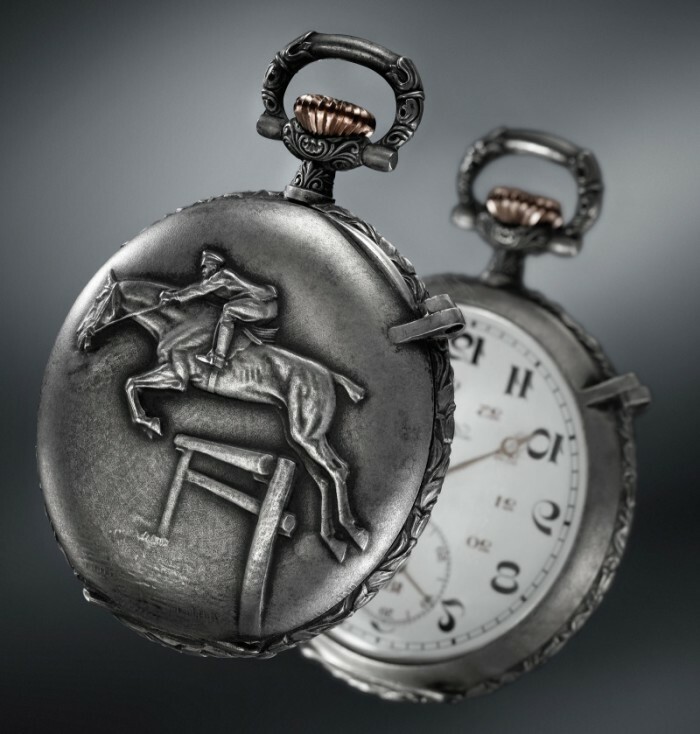 Longines created their first equestrian related watch in 1878, it showed an engraved jockey and his horse. The back cover of the current version is decorated with a stamped out motif of a horse flying over a jump. 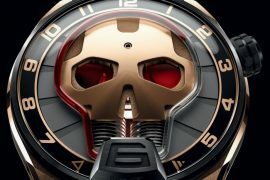 The Lépine’s rose gold case measures 49.5 mm and houses a manually wound caliber L506 movement that offers 53 hours of power reserve and a frequency of 21,600 vph. The vintage looking white-lacquered dial features easy to read large black Arabic numerals and a minute ring with red Arabic numerals. 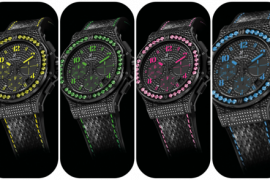 Its small seconds dial is located at 6 o’clock. 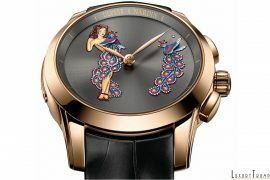 Just like with the original model, this watch features pink Breguet hands. 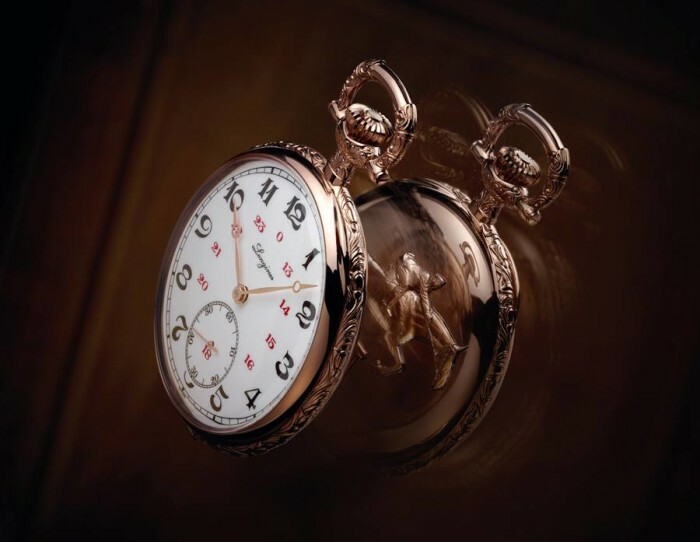 The Longines Equestrian Lépine is referenced as L7.023.8.13.1 and released as part of their Heritage collection. Pricing on request only.